Normal service to resume from here to the end. has the ability to enforce the new UK Bribery Act. given the budget to investigate thousands. this anti-bribery bill is passed. anti-corruption due diligence when one company is buying another. corrupt' is the thought process of the Brazilian company, Ayres said. (this post was edited following its original posting to clarify that Brazilian companies don't generally carry out due diligence either when acquiring companies overseas or locally. The deciding factor as to whether a Brazilian company carries out anti-corruption due diligence is whether it is subject to a strict anti-corruption law such as the FCPA or UK Bribery Act). to thank the panellists and audience. RT @ryhicks: Brazil's president Dilma Rouseff @dilmabr speaks at #15iacc in just under an hour. Just arrived at the conference centre. There are hordes of people here already but it's all very well organised. 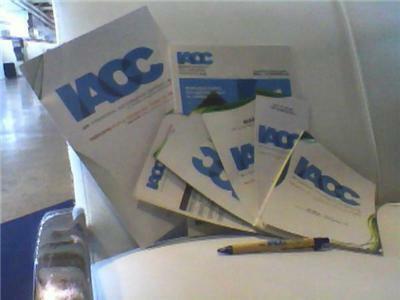 20 minutes until President Rousseff officially opens the 15th IACC. Brazil might be touting the importance of technology in enhancing government accountability and transparency but the power of technology is clearly a work in progress. At the Brasilia conference centre, the microphones in the opening plenary scarcely picked up several of the speakers; the wifi drops out work consistently; the simultaneous translation headsets have roughly a 1:3 chance of working. Speaking Portuguese helps immensely in following events -- sadly I don't! But the spirit of help and cooperation thrives as organisers scramble to work out the problems. Travel here has proven equally challenging - flights delayed. The plane carrying Indian social activist Aruna Roy ran short of fuel en route and she stayed overnight in Sao Paulo. or she will find more subtle ways to influence the game. business and 92% of all bets placed on sport are placed on football. matches is a huge growth area for organized crime! fixing in football, Drago Kos says. Most countries are not, he adds. Anthony Mills, deputy director of the International Press Institute. this year, the workshop hears. Grassroots campaigners say the pervasive impact of corruption on women is under appreciated at IACC Day 2 workshop on Gender and Corruption. public databases which anyone could access. listed all Costa Ricans who are banned from running for public office. been convicted for crimes including robbery and fraud. their two databases against what the ministers had publicly declared. of Costa Rica's finance minister. A UNDP study on Grassroots Women's Perspectives on Corruption released at a workshop here found that corruption affects a wider spectrum of women's lives than commonly recognised --39 pct of women were asked to pay bribes for basic services (water, electricity, healthcare); 21 pct to get jobs and in business; 16 pct for documents such as a birth certificate; 12 pct by law enforcement and 10 pct for housing, land and property. Women are more deeply affected if they have no money to pay the bribes and must rely on men who control the financial resources of the household and hold the power, said Francis Birungi from Uganda Community Based Association for Child Welfare. Women then are forced to pay with their bodies, through physical and sexual abuse she said. The study found that 4 pct of women considered sexual exploitation a form of corruption. 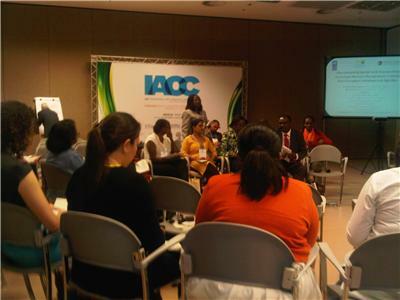 Excited to speak today at the #15IACC in Brazil, at the 12:00 plenary session. 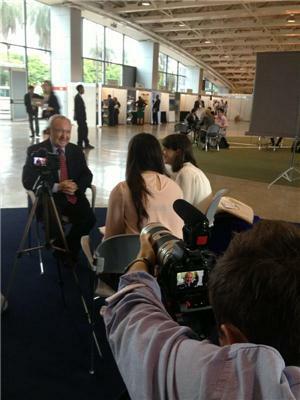 Topic: Why has Greenpeace called Rio+20 an "epic failure"? Among the solutions proposed in the UNDP study was that women leaders are linked to grassroots groups, which gives women on the ground more confidence to stand up against corruption and leaders the information they need to create change. "It is not enough to have women in leadership positions and then just better governance will happen," said Priya Pillai from Best Practices Foundation, who presented the UNDP report, which suffered 471 people, mostly women, in Africa, Latin America and South Asia. "It is very important that women in government are linked to mobilized constituencies," she said. that case, "You need to treat your editors like heroin addicts,"
make them want to come back for more, Segnini says. reports the story rather than which correspondent wrote it.